artist and the making: 400,000 holes A hand punched work. 400,000 holes A hand punched work. 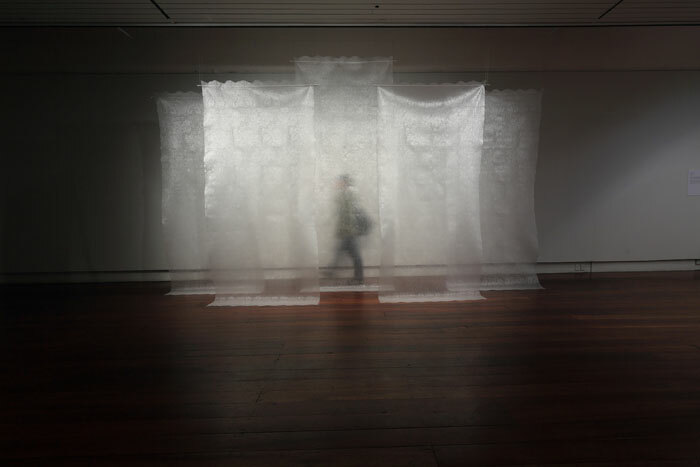 With a history of lace in mind and reflecting upon the medium of textiles, this work explores the historical significance of handmade lace alongside the mass production of luxury commodity in contemporary society. 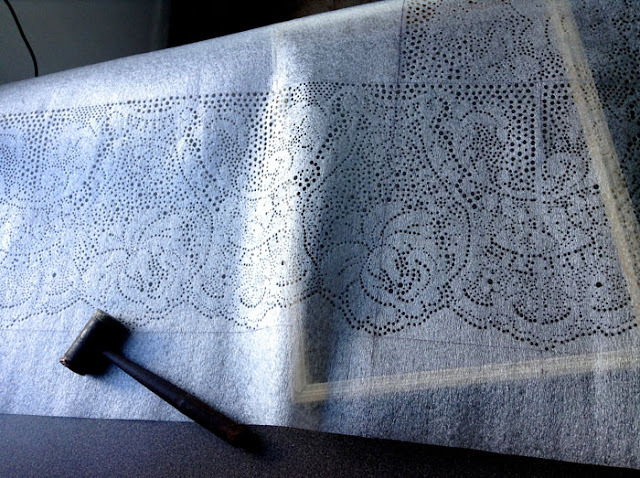 While not making lace in the traditional sense, this textile work attains the significance of handmade lace through an obsessive investment of time and action. In doing so, I have shifted 'value' from the luxury commodity to its wrapping material and upheld the importance of human manufacture.